In my previous article SAP Smart Business Service – Create Analytic Content in HCP without Coding, I talked about Smart Business Service. 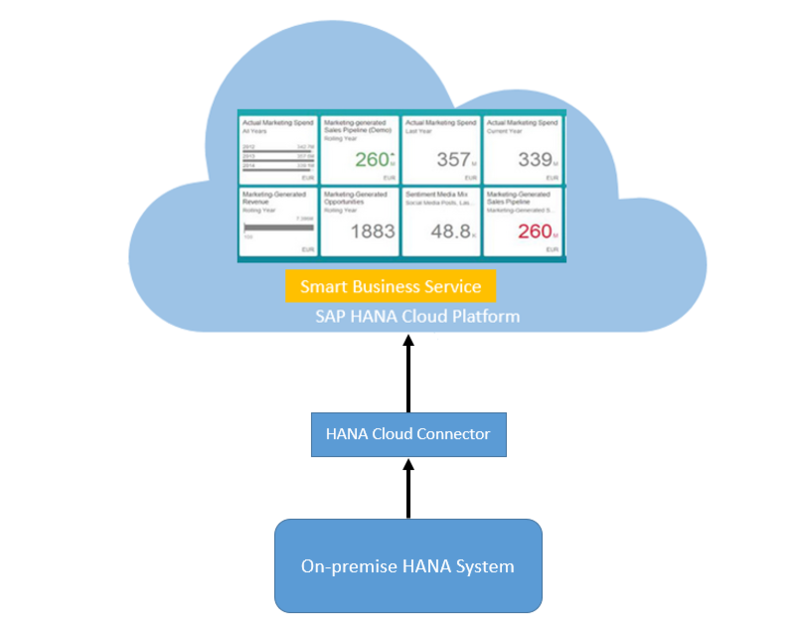 In this blog, I am going to show you how easy it is to enable Smart Business services on HCP using data from on-premise HANA system. You must have subscribed and enabled Smart Business Service in your account. You may refer to below articles for that. 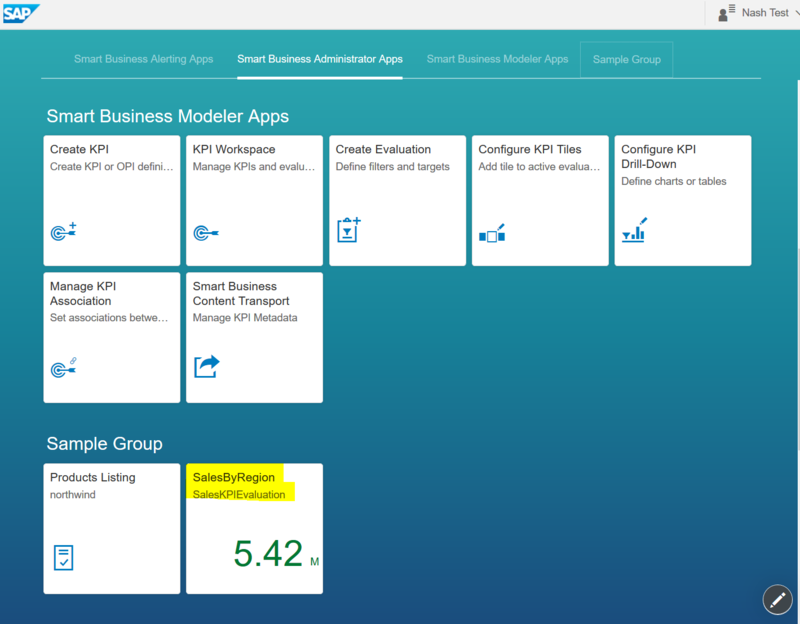 Now let’s see how to create a Smart Business KPI using on-premise HANA content. 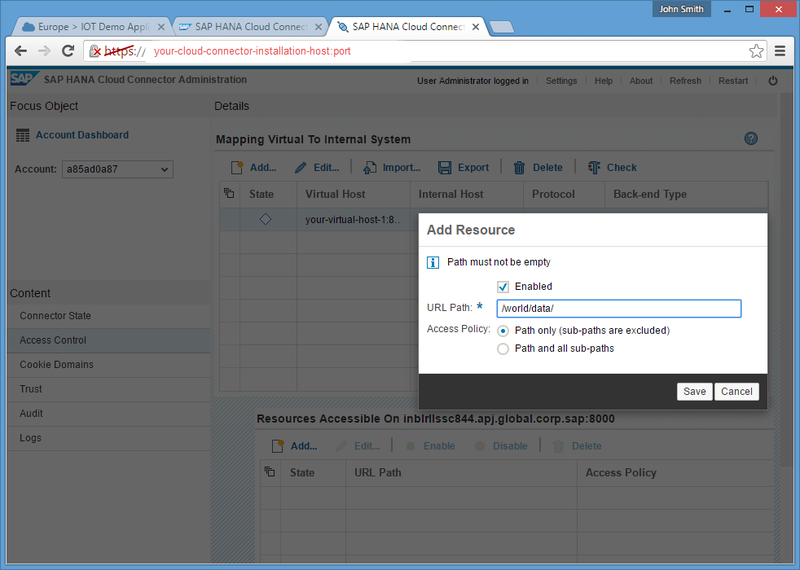 Step 1: Create calculation view and XSOData in on-premise HANA system. Smart Business can access the data from any OData source. In on-premise scenario, best option is to create a calculation view and expose that as OData. You may refer to this article to know how to create a calculation view and this article for XSOData. 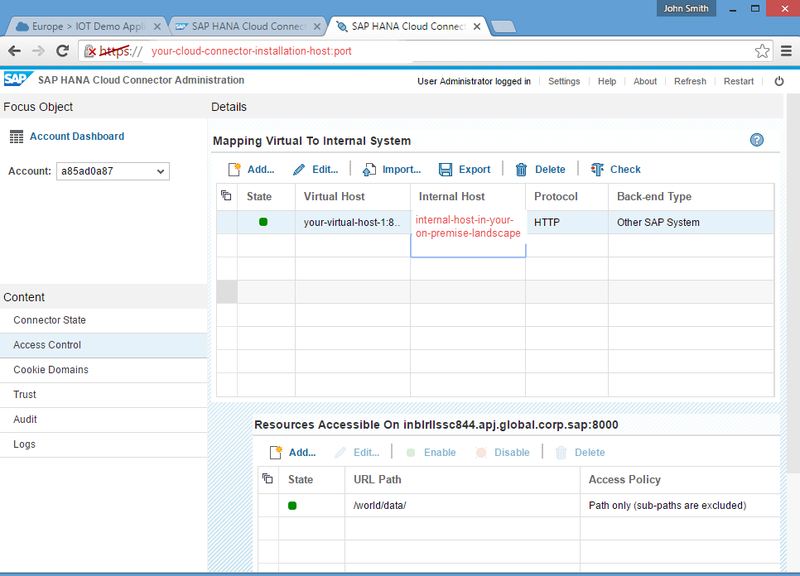 Note that XSOData must enable SAP annotation using OData4SAP. Annotation is enabled using below code. 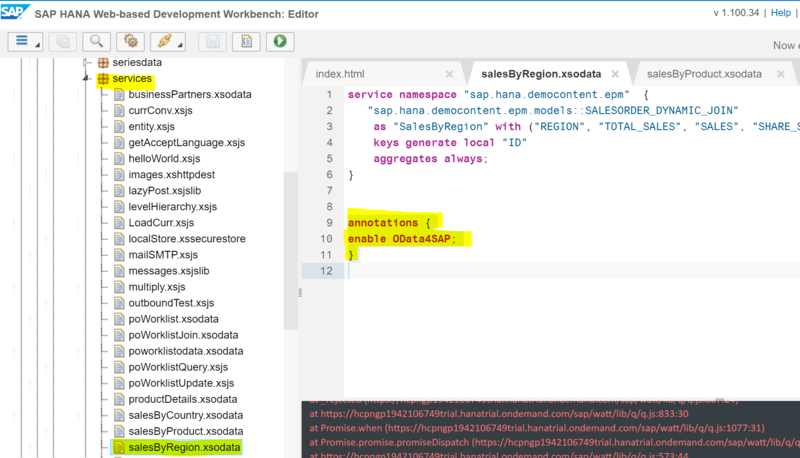 It is important to note that OData services need to be annotated following OData4SAP standard in order to identify dimensions and measures on each entity. 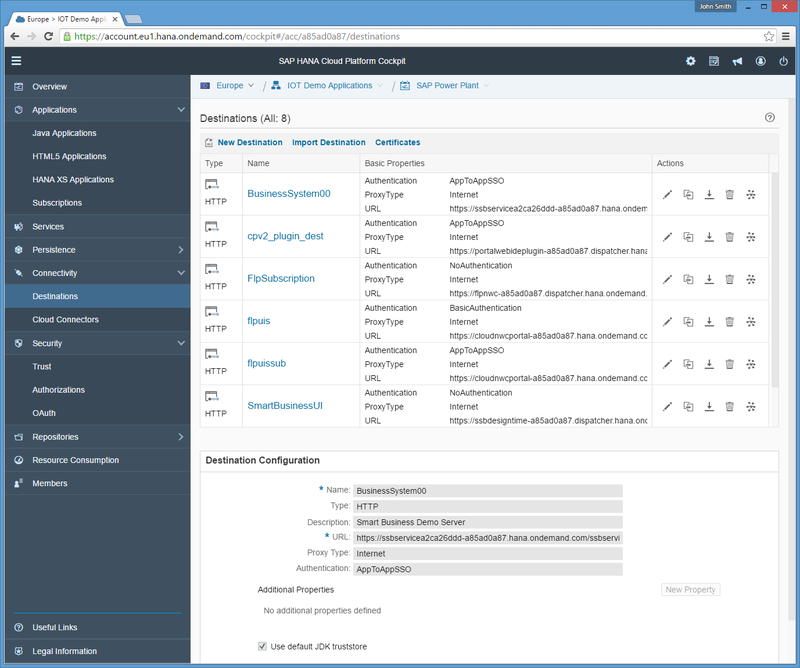 In HCP, it is possible to consume web services from your On-Premise with the help of SAP HANA Cloud Connector through a secure tunnel. More details can be found at this help document. 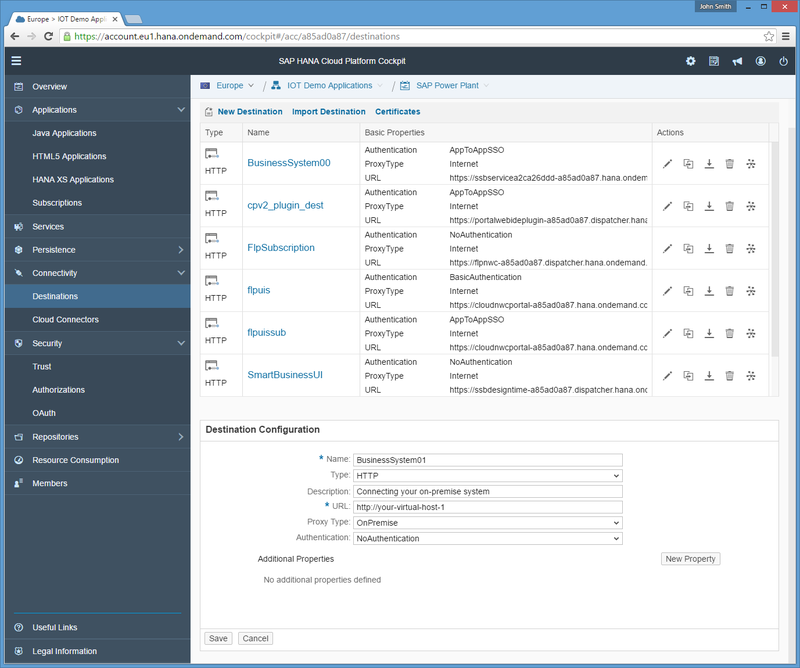 In HANA Cloud Platform Destinations are used for the outbound communication of your application to a remote system (which can be a cloud or on-premise system). You can get more information about Destination here. When you have enabled Smart Business Service, by default, number of destinations are created in your HCP cockpit for various purposes. From Smart Business Service, you can connect up to 11 business applications/systems. Destinations with names BusinessSystem00 to BusinessSystem10 are meant to be connecting to your backend systems. BusinessSystem00 by default is associated to Smart Business Service Java application that has some demo analytic services. In the Destinations section of HCP Cockpit, click “New Destination” button to create new destination. 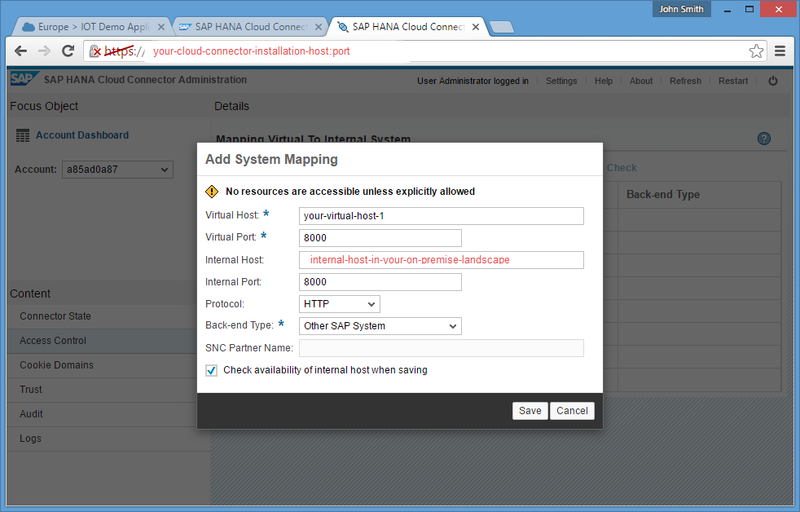 Here we show an example of connecting your on-premise system “internal-host-in-your-on-premise-landscape:port” through virtual host your-virtual-host-1 using SAP HANA Cloud Connector. 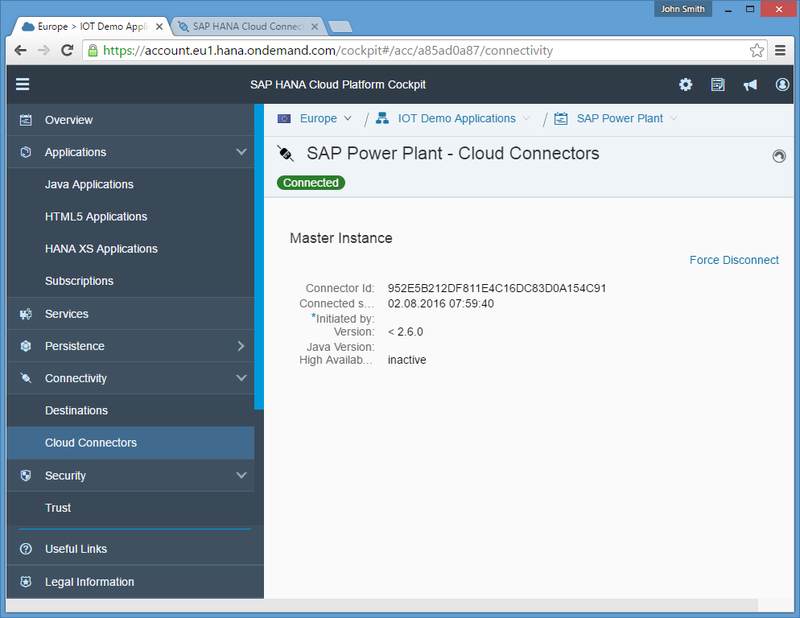 If your HANA system is HANA Live system or SAP Predictive Maintenance (PdMS) on-demand system, you will already have a capability to locate OData services by HANA views. Procedure on how to install Delivery Unit can be found here. With this installation of optional Delivery Unit, in your HANA DB, we can search OData Service based on calculation views. Now we have configured the system and everything ready. Next step is creating Smart Business contents. To know more about how to create KPI, Evaluation and tiles refer to this article. Finally we should be able to get Smart Business KPI and Tiles similar to below. Nice document. Few comments from my side.. Thank you Raja. 1. 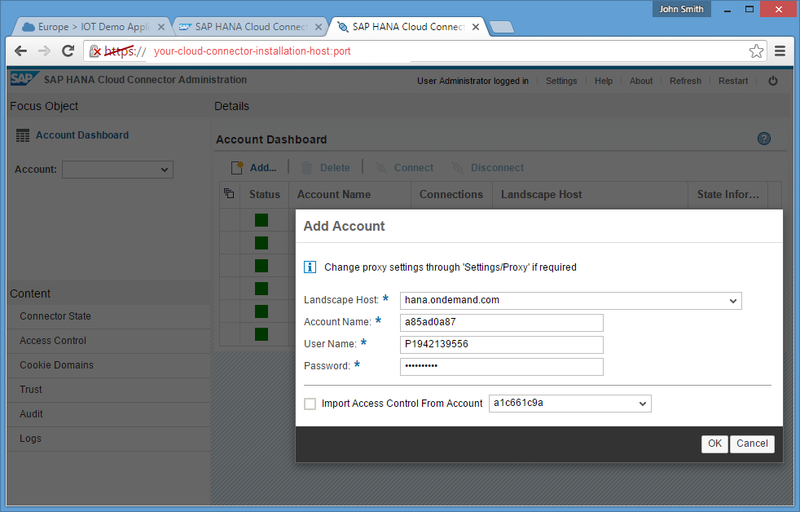 Destination names in HCP account should be BusinessSystem00 to BusinessSystem10. Initially I provided some other names, which was not getting identified by the Configure Business Systems tool. For 2: You can search the HANA Du with Name HANA CONT. SBS DISCOVERY 1.0. Also, from your question, i didn’t really get what is the issue that you are facing? 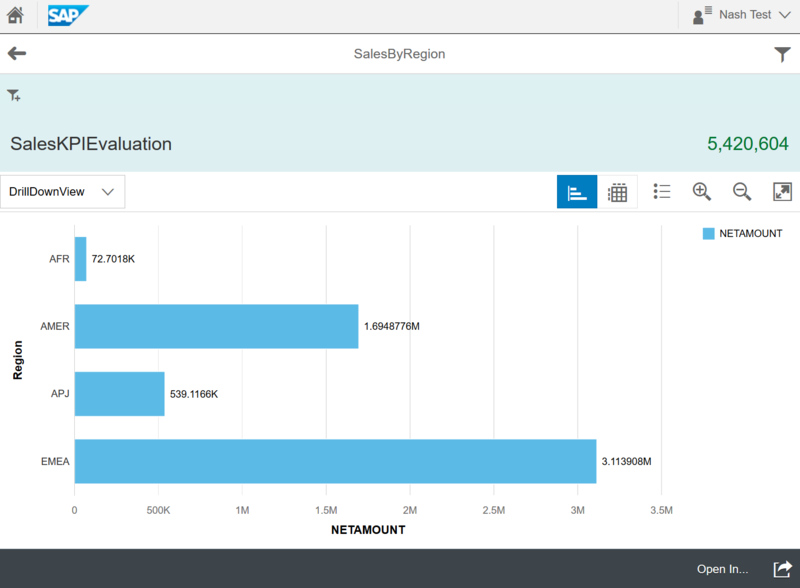 The purpose of the mentioned DU is to discover the available HANA calc views in the system. However, if you already know the end point, you can always mention that manually in the Business System configuration. This is just a helper addon so that you don’t need to specify the all end points manually. ONE Support Launchpad –> Software Downloads –> Installation & Upgrades –> By Category –> SAP In-Memory (SAP HANA) –> SAP HANA ADD-ONS. Both links above state different names for this optional delivery unit. Obviously there has been either a typo or there were changes that didn’t get to be updated at the documentation level. 2) The Software Download Center doesn’t show this as an Add-On for HANA while searching by category. Thus one cannot easily find the download file, unless you open this blog and scroll down to the comments to get the correct search name to look for it. The DU shall be visible in SMP now. You can search for HANA CONT. SBS DISCOVERY 1.0.